Last year, at New York Comic-Con 2016, we were treated to the first look at the upcoming Teenage Mutant Ninja Turtles – Rocksteady Statue by Good Smile Company. Their series of TMNT Statues are being designed by artist James Jean, based on his poster artwork. 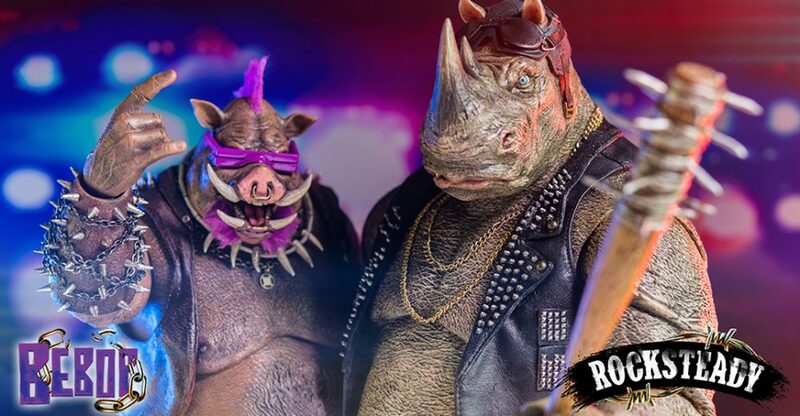 Rocksteady joins Krang (not yet revealed), Shredder and Bebop in the new series based on the popular villains from the TMNT franchise. 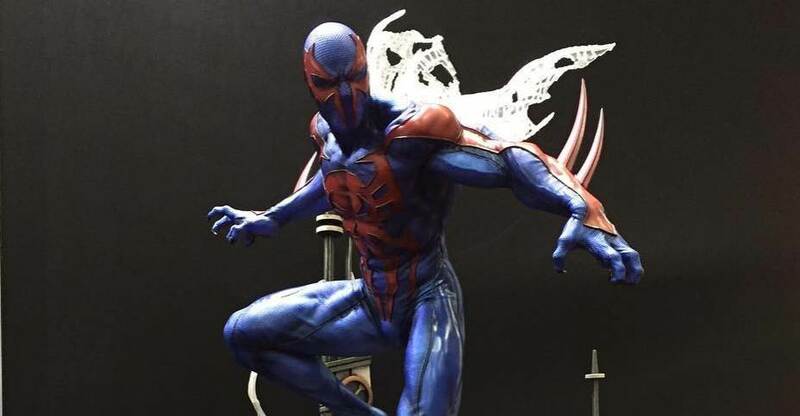 At the event, the statue on-hand was an unpainted prototype. Details for the Rocksteady Statue has been finalized! Photos and info have been released by Good Smile Company. The statue is constructed of ABS and PVC. It stands at 9″ tall and features a diorama base that is meant to be displayed with the other TMNT villain statues. 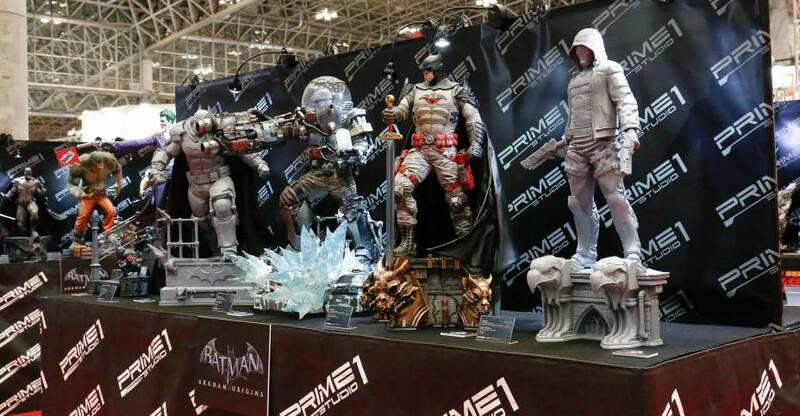 The Rocksteady Statue is due for a Japanese release in October and is priced at 17,593 Yen (about $159 USD). Fans who buy all four of the TMNT Villain Statues will have a chance to get a print with the artwork by James Jean. The artwork features all four villains and measure about 8×8 inches. Check out those details Here. At Winter Wonder Festival 2017, a slew of new Prime 1 Studio statues were revealed. These included plenty from DC Entertainment, anime, TMNT, and video games. They also had Transformers and GI Joe Statues as well. Prime 1 Studio posted up a massive gallery. Below are some of the highlights. At New York Comic-Con 2016, Good Smile Company showcased their Teenage Mutant Ninja Turtles Statues. We’ve seen the four Turtles numerous times and they are available in specialty stores now. 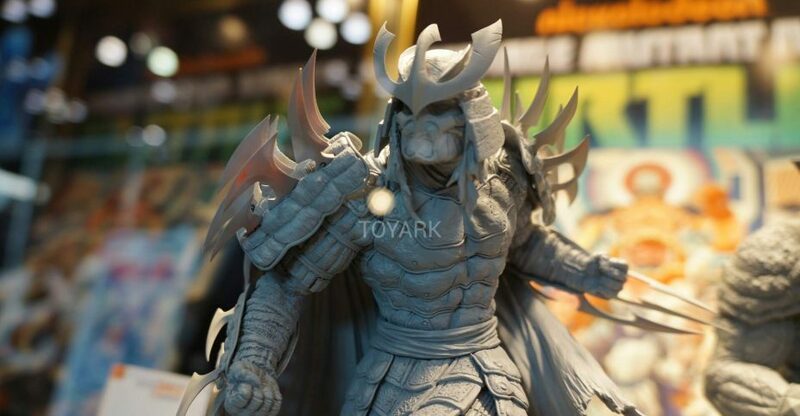 They debuted newly designed statues of Shredder and Rocksteady, fitting i nthe same stylized designs as the Turtles. 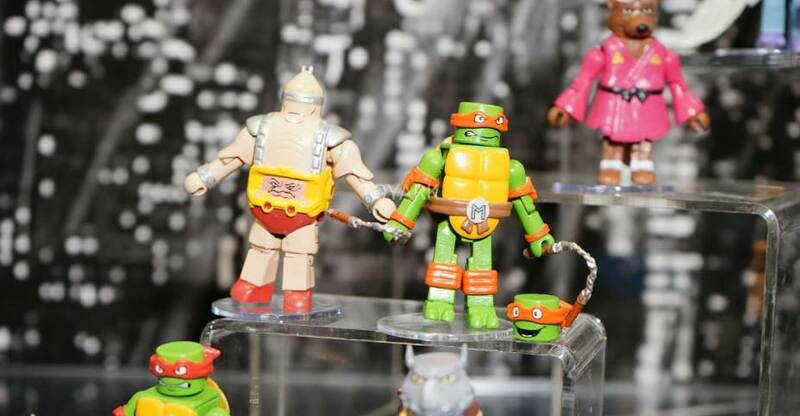 Also on display was artwork, which shows Krang and Bebop, who will be included in the statue line-up at some point. Prime 1 Studio have revealed their painted versions of Teenage Mutant Ninja Turtles Out of the Shadows Bebop and Rocksteady. The set will run around 1200 dollars but each can be purchased separately if desired. There will be a limited run of 350 units, and the set will come with an exclusive Shredder mask. Check full details and promo pics after the break! 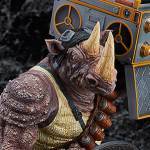 Check out the new photos and much more info for the upcoming Teenage Mutant Ninja Turtles: Out of the Shadows – Bebop and Rocksteady 1/6 Scale Figures by ThreeZero. They are going to be sold individually as well as a ThreeZero Exclusive 2-pack. Pre-orders begin on July 22nd. After the jump, you can find specific details for both figure as well as all of the new photos. 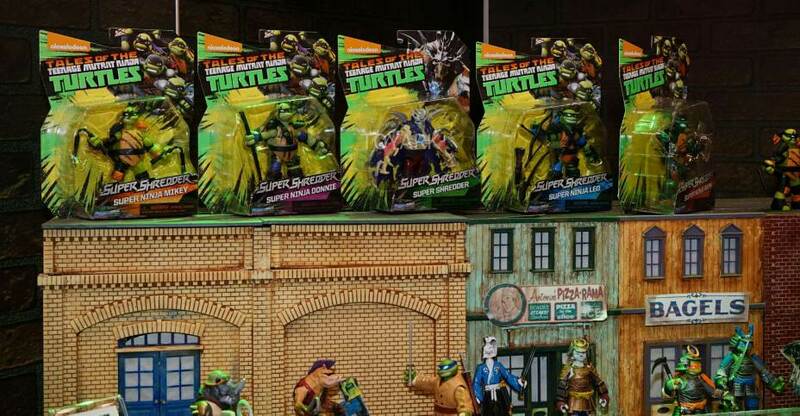 ThreeZero has announced their next two TMNT figures. They will be based on the new TMNT: Out of the Shadows film, featuring two highly anticipated live action debuts. 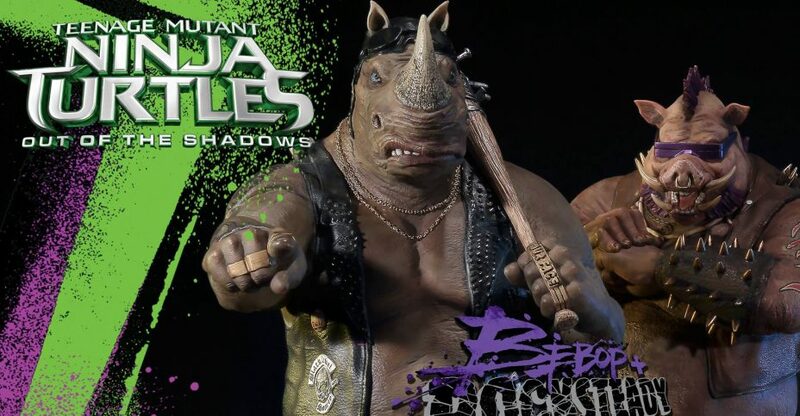 They will be releasing Teenage Mutant Ninja Turtles: Out of the Shadows – Bebop and Rocksteady 1/6 Scale Figures. No additional details have been released at this time. All they will say is that there will be an update in the near future. You can see the preview photo by clicking the banner image above. MattyCollector has posted up new photos and details for one of their upcoming Teenage Mutant Ninja Turtles Kubros 2-Packs. These San Diego Comic-Con 2016 Exclusive sets will each contain one turtle and one villain. Today they have shared a look at their Leonardo vs Bebop set. It’s a stylized brick take on these classic figures, and they come in a fantastic looking package. Also, we missed out on one of the other exclusive updates. They previously released info on their Halo Spartan Helioskrill exclusive. So we’re going to share that info as well. 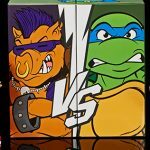 Images and info added for the Teenage Mutant Ninja Turtles Kubros Michelangelo and Rocksteady 2-Pack. You can see photos and info for both updates by reading on.